The goal of this conference was to reflect on the manner in which interdisciplinary approaches can be brought to bear on questions relating to the representation of space in the diverse cultures of the English speaking world. The presentations at the conference dealt with a wide variety of regions: Africa, South-East Asia, North America, Ireland and Australia. This diversity made for interesting exchanges between scholars working on different geographic domains. The presentations were also characterised by the diversity of their methodological approaches. These can be broadly grouped into two general categories: 1) postcolonial spaces, which exist at a disciplinary crossroads between geography, anthropology and literary theory; 2) the concretisation of space in the visual arts (the cinema, videos, sculpture). 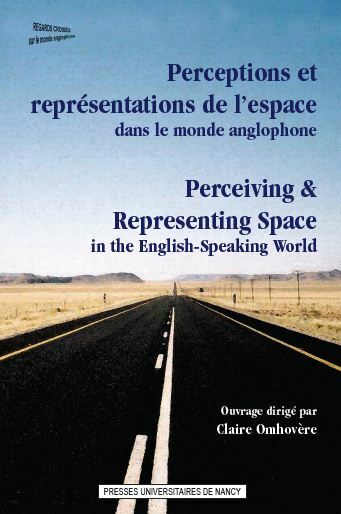 ‘Perceptions and Representations of Space in the English Speaking World’ brought together scholars from a number of major French universities (Strasbourg, Grenoble, Aix-en-Provence, Metz, Orléans, Toulouse le Mirail, Grenoble, Lille 3, Paris Dauphine and Montpellier 3, as well as Nancy 2) and several foreign countries (Romania, Germany, Nigeria and Poland). The conference was the occasion to pay hommage to Richard Samin, a few months before his retirement. A specialist of African literature and a respected member of the English department at Nancy 2 and of IDEA, Professor Samin’s contributions to IDEA’s seminars and workshops on African and postcolonial studies over the years were a major inspiration for the organisation of this international conference. The participation of Professor Samin in one of the panel sessions on African literature, alongside Pierre Halen (Metz University) and Gilles Teulié (University of Provence) was one of the highlights of the event. A collection of articles based on the presentations given at the conference was published by the Presses Universitaires de Nancy, Perceptions et représentations de l’espace dans le monde anglophone (2011).